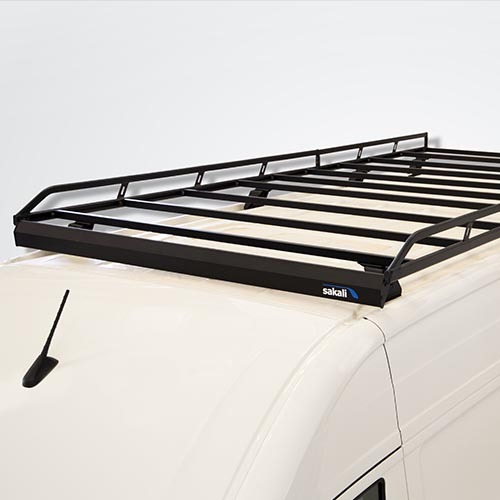 Commercial roof rack mounting for vehicle quick and easy. Material: iron 20x20mm square. Finishes: - Lacquered black or white. - Silver Grey - Zinc. Options: - With rotating roller - Railing side - Platform.